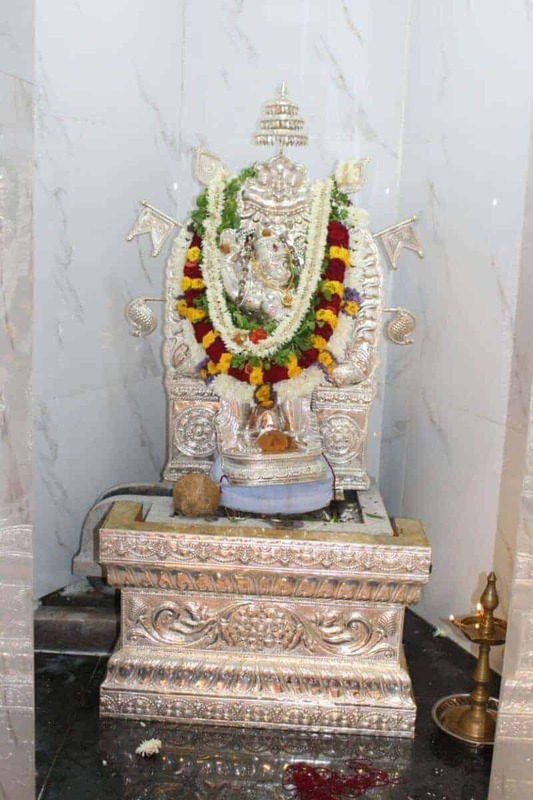 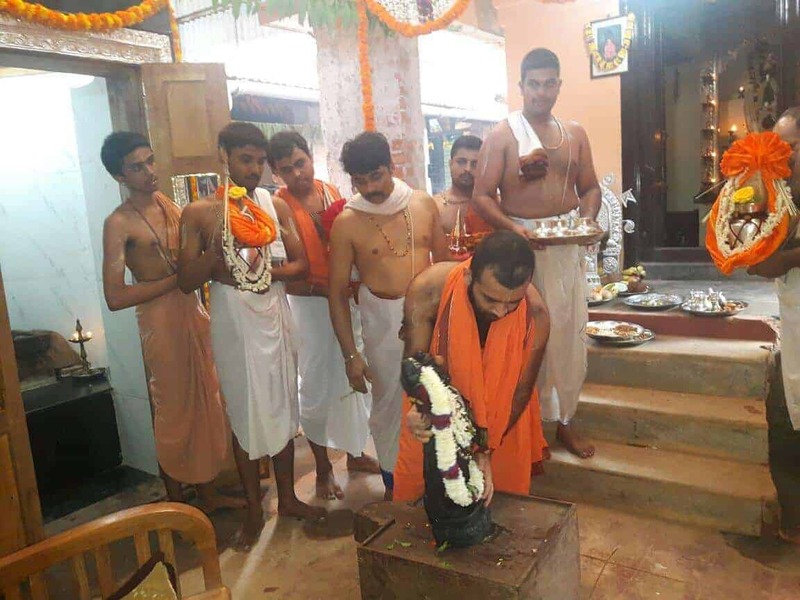 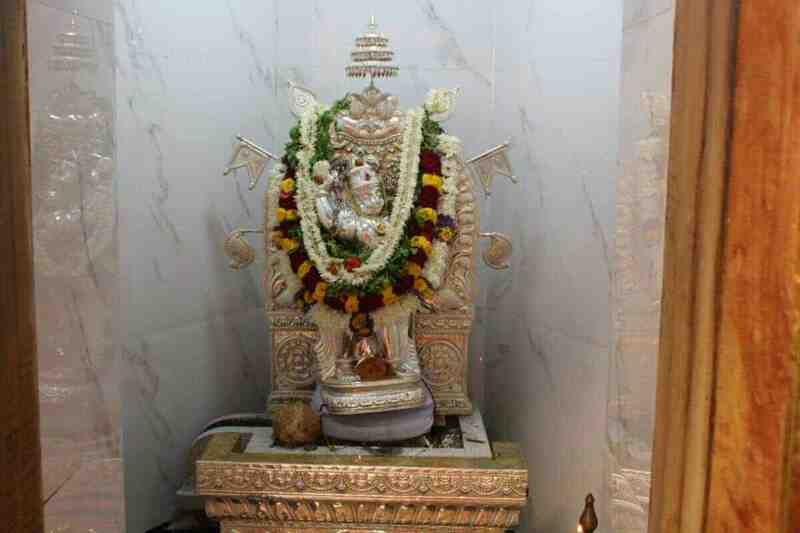 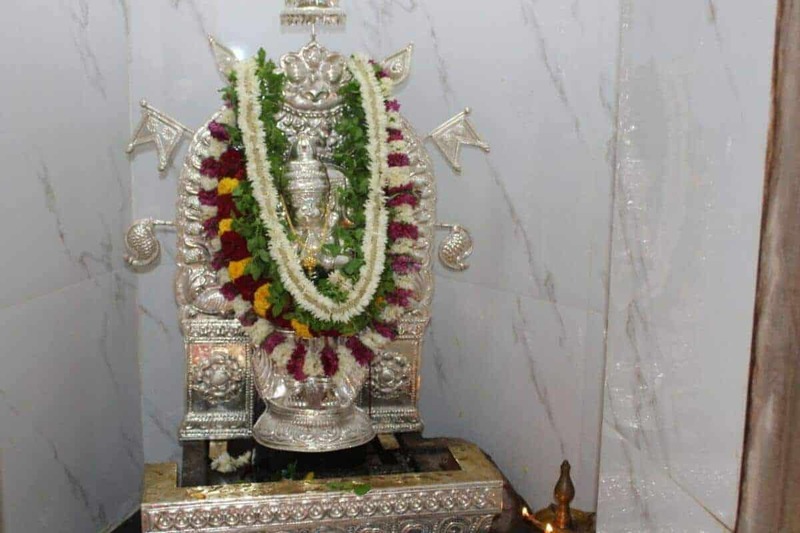 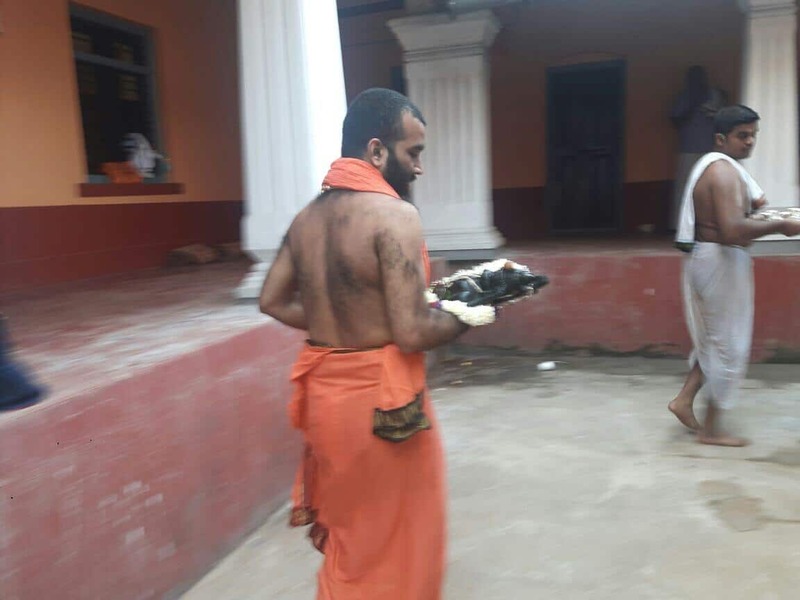 On the auspicious day of Chaitra Shukla Navami, being Sri Rama Navami, the Punah Pratishtapana of Lord Sri Mukhyaprana’s idol on the Vrindavan of H.H Shrimath Vibhudendra Thirtha Swamiji at Manjeshwar Shri Kashi Math was performed by H.H Shrimath Samyamindra Thirtha Swamiji, Mathadhipati of Shree Kashi Math Samsthan. 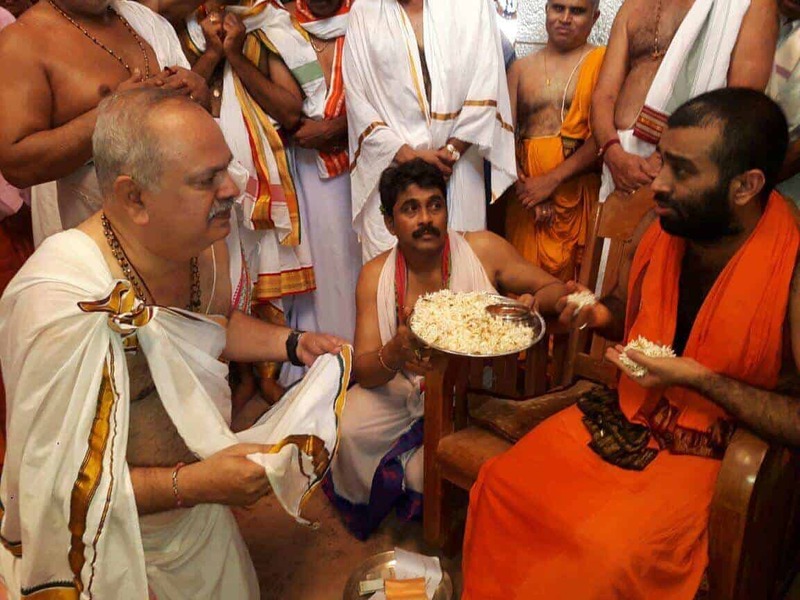 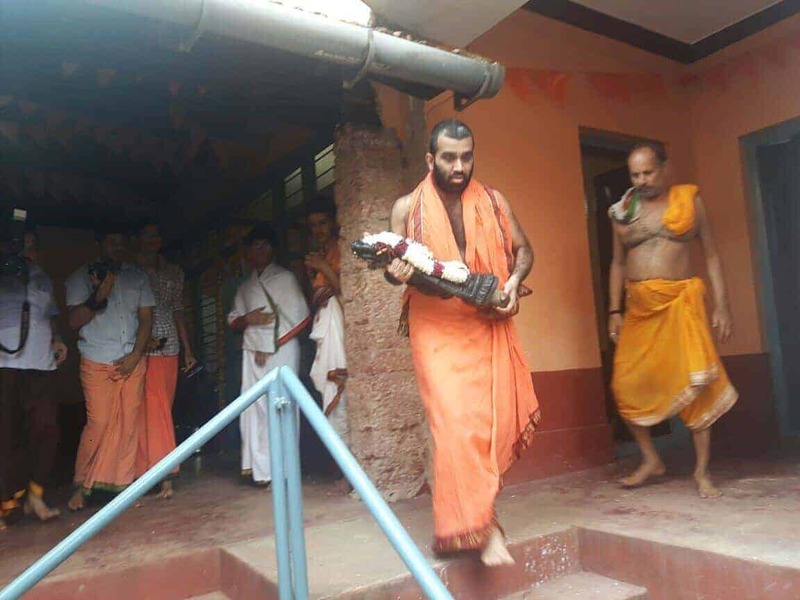 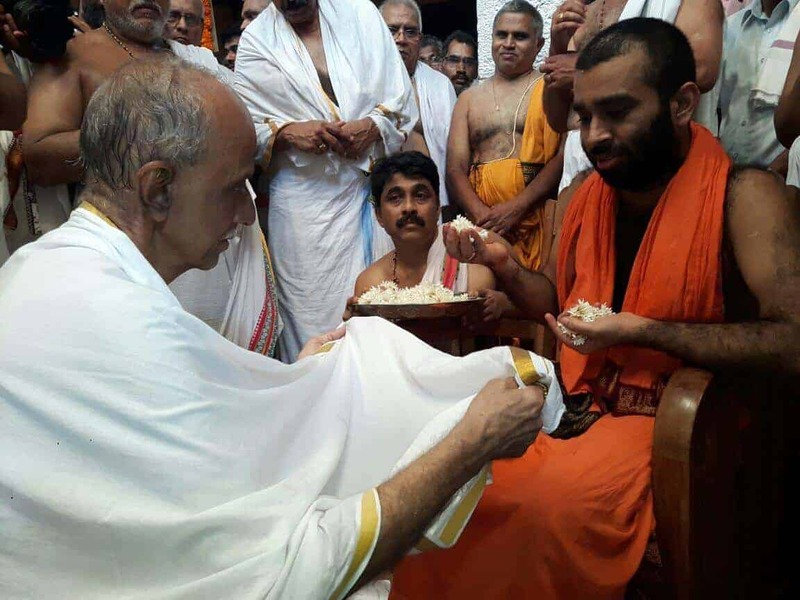 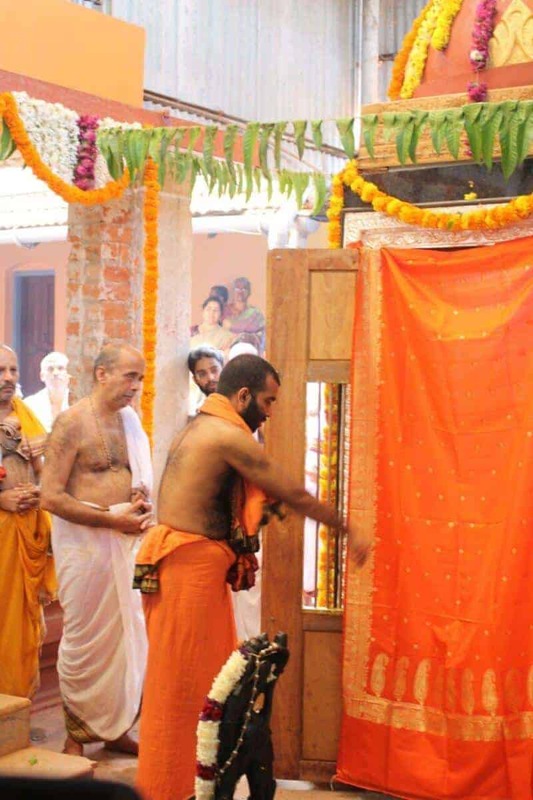 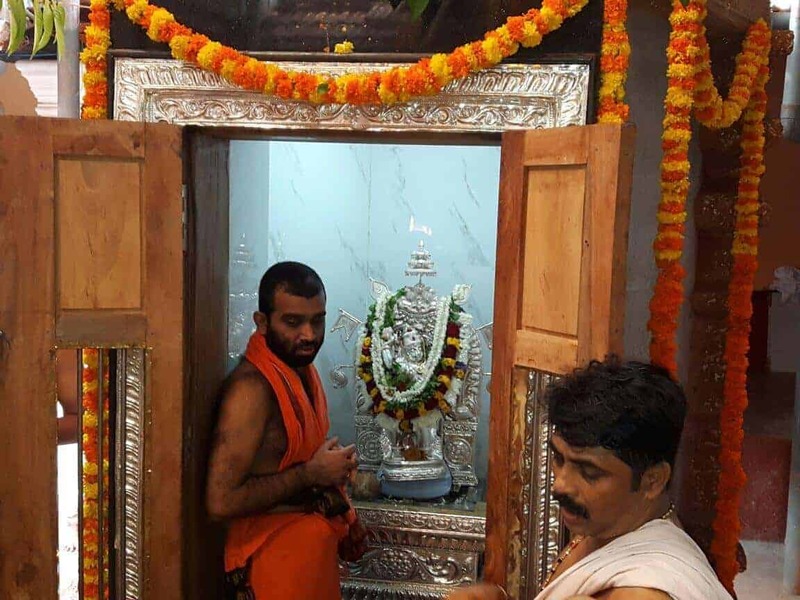 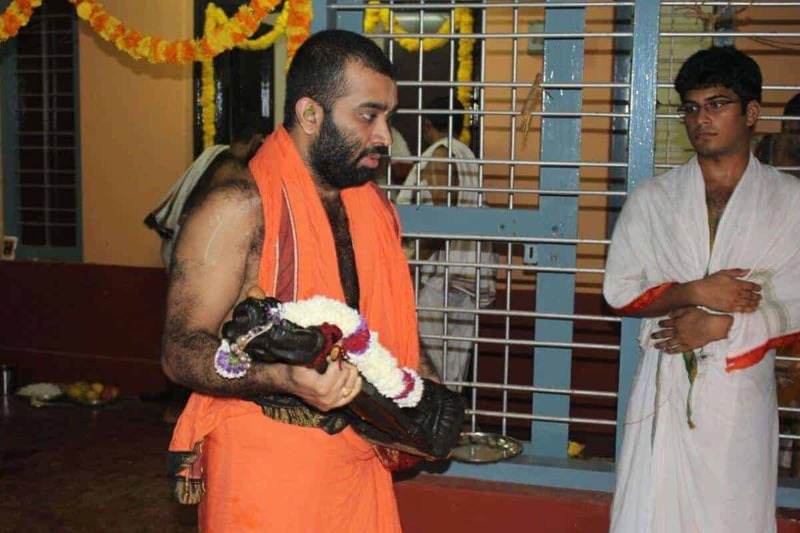 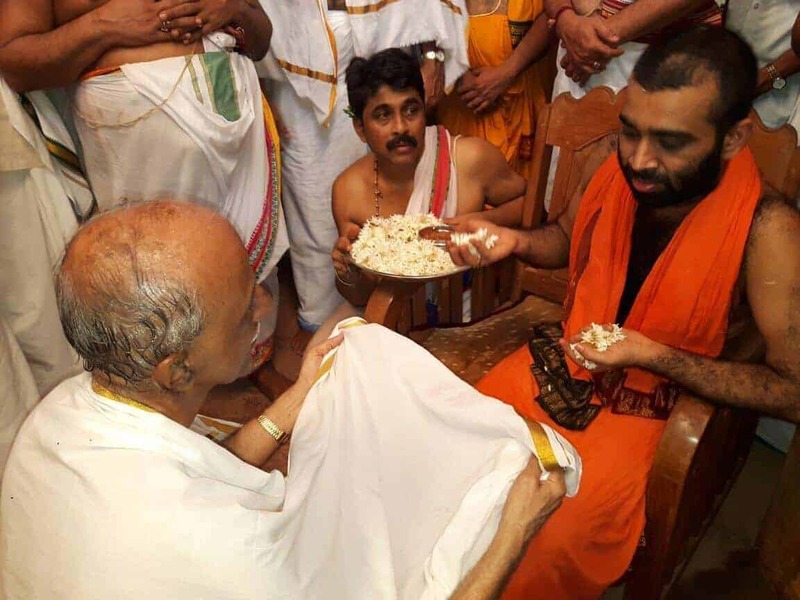 H.H Shri Swamiji arrived Manjeshwar from their Vasanthotsav Mokkam in Karkala. 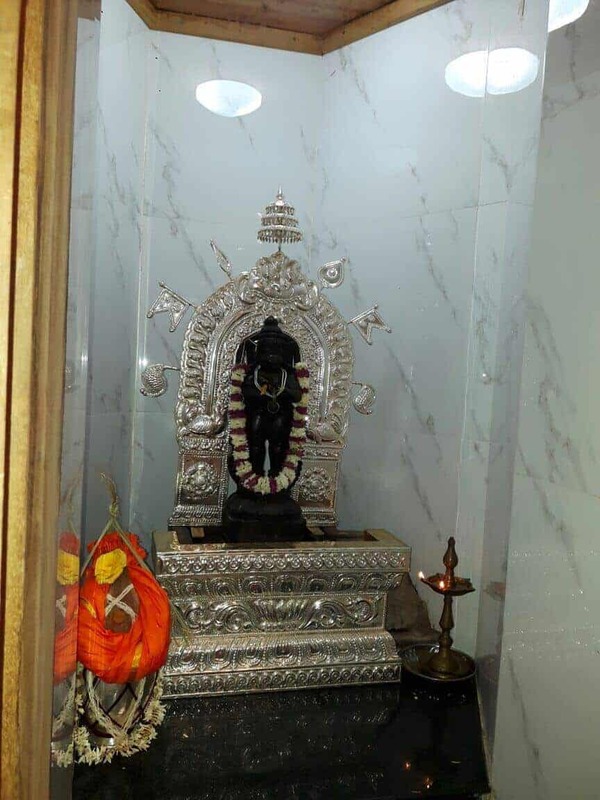 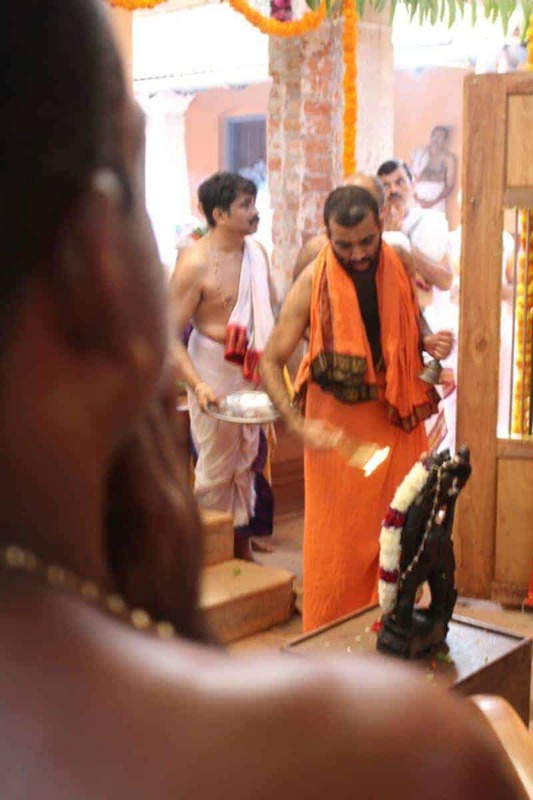 The Punah Pratishtapana rituals, that were initiated in the early hours of the day, included Punyaha Vachana, Navagraha and Vastu, Pratishtanga Homa, Shrimad Bhagavata Purana Parayana etc. 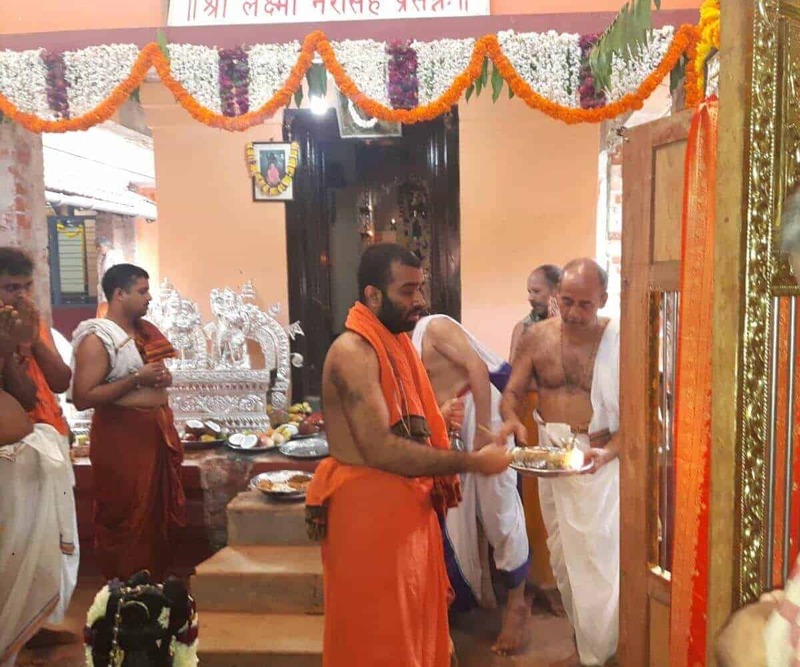 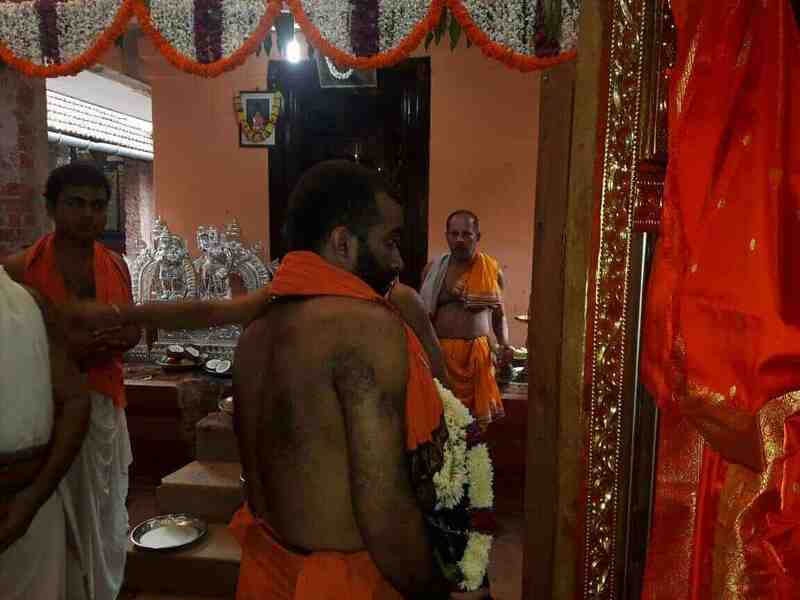 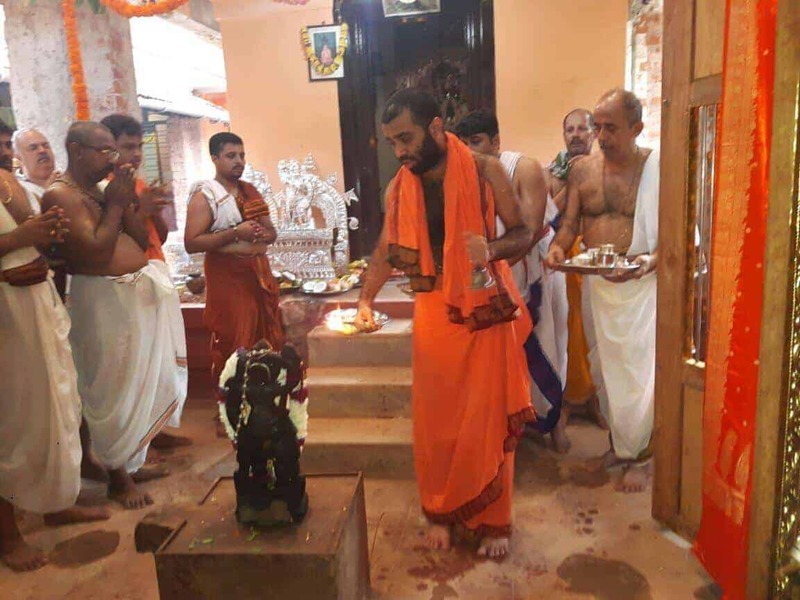 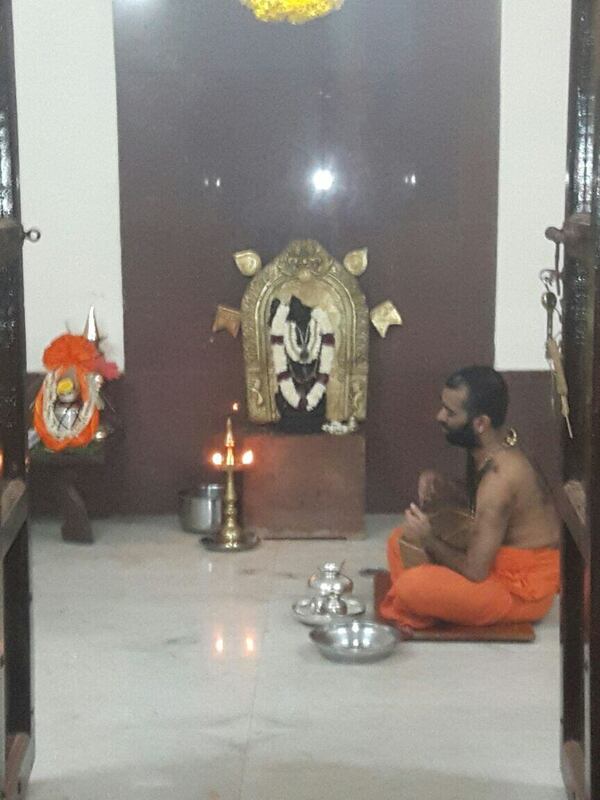 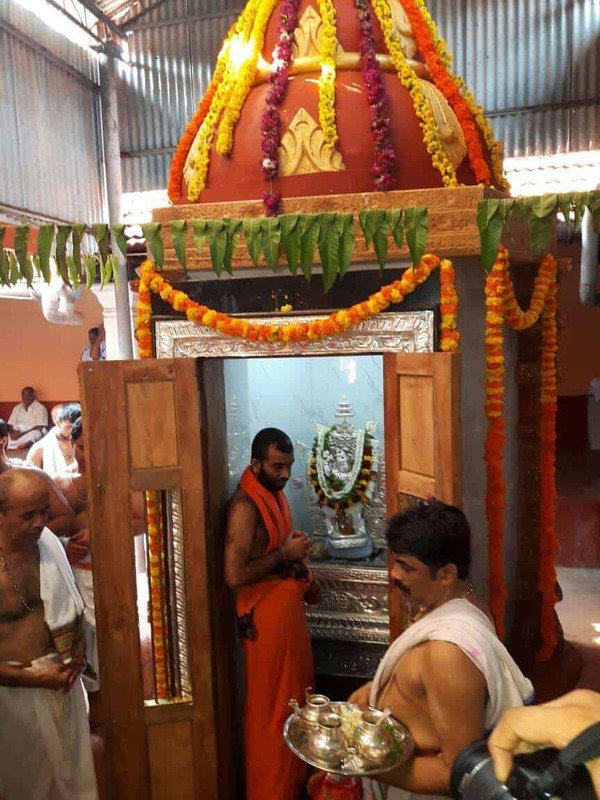 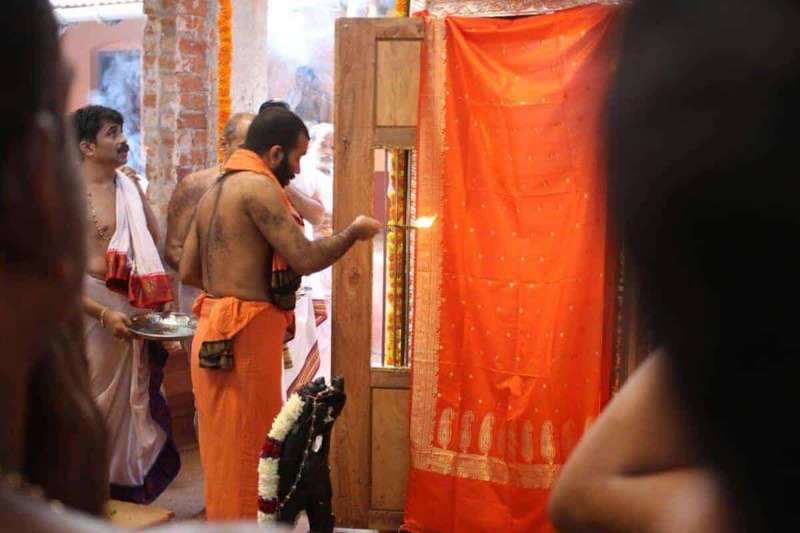 H.H Shri Swamiji performed Prana Pratishtapana, Kalashabhisheka and Mahapooja to invoke sannidhana.